After Agatha Christie tied the knot with archaeologist Max Mallowan at an Edinburgh cathedral in 1930, they set out on an adventuresome journey. “Max had planned the honeymoon entirely himself; it was going to be a surprise,” Christie penned in An Autobiography. 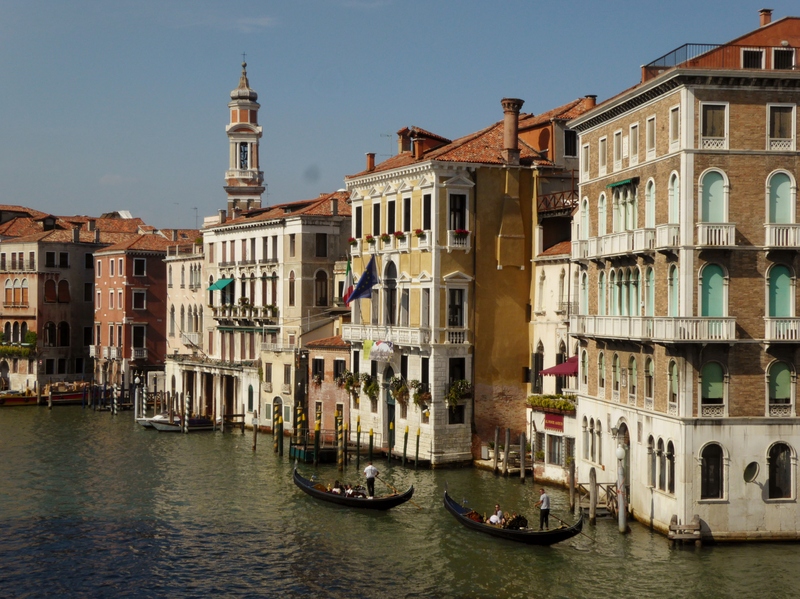 Romantic Venice was the first stop for the newly wed crime writer. Christie had passed through the Italian city previously while traveling on the Orient Express from London to the Middle East, where she met her future husband on an archaeological dig. “I resolved…that if ever I am so fortunate I shall spend my honeymoon here!” Max Mallowan once vowed about Venice. And indeed he did. 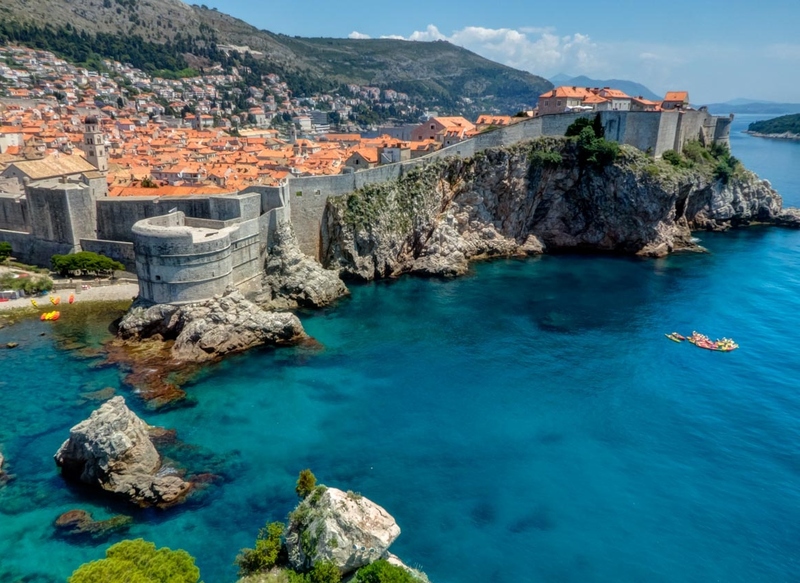 The honeymoon tour continued in dazzling Dubrovnik. Christie gives the seaside walled city just a brief mention in An Autobiography. But then words hardly do this dreamy destination justice. Next up on the newlyweds’ itinerary was Split, another wonderfully atmospheric city that, like Dubrovnik, lies along the Adriatic Sea. 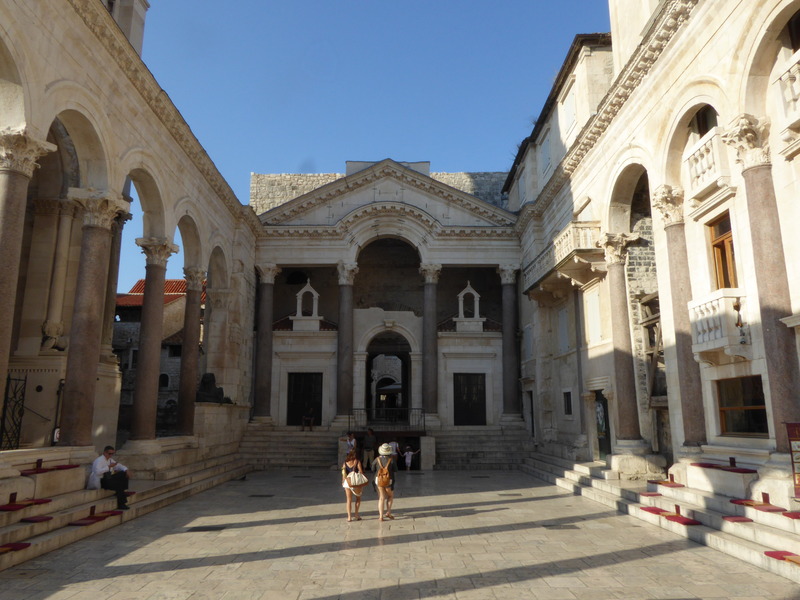 Mallowan and Christie—who was intrigued by archaeology even before marrying into the profession—no doubt made like other tourists in town and admired Split’s main attraction: the ruins of a palace built by a Roman emperor. For Christie, the highlight in Greece was Delphi, where ruins cascade down the side of a mountain. “It struck me as so unbelievably beautiful,” she recalled. 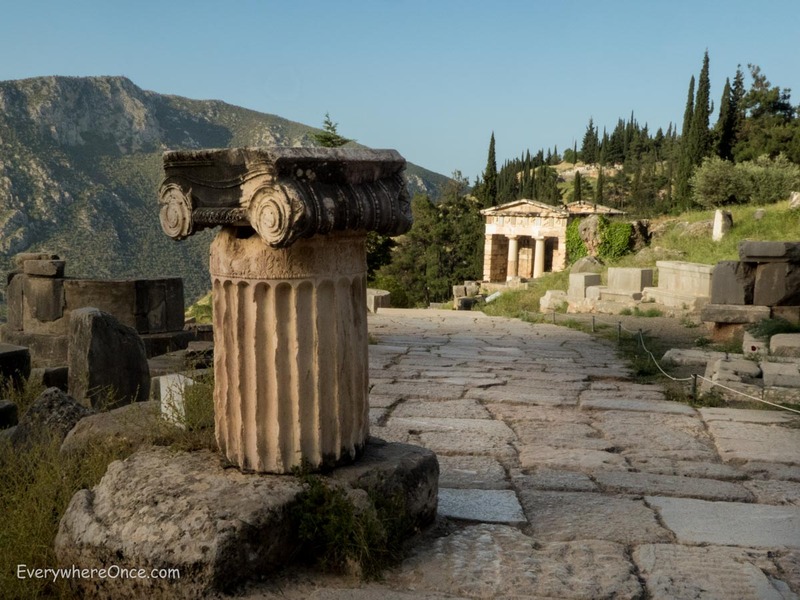 It’s no wonder then that in ancient times, Delphi was considered the center of the world and home to an important oracle. In Greek mythology, Zeus released two eagles in opposite directions, and Delphi was where they met after circling the world. 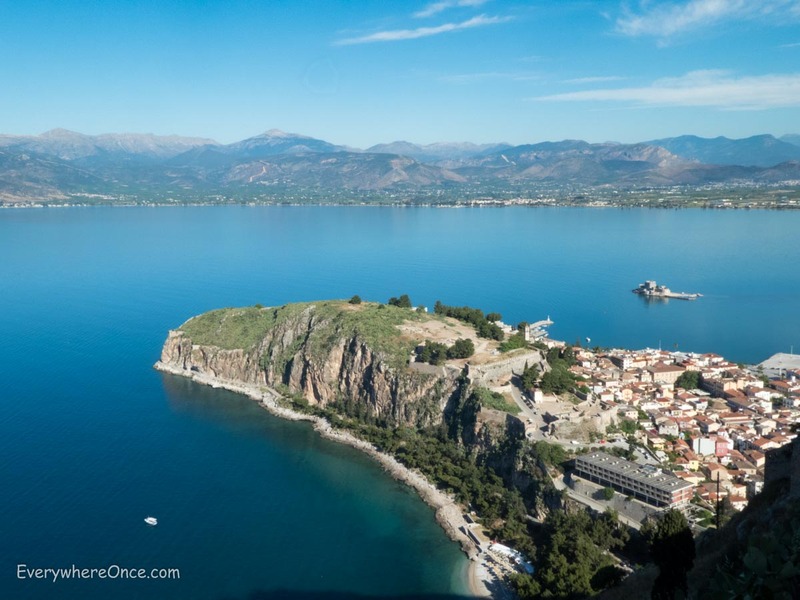 The honeymooners stopped to admire more ruins and views of azure waters in Nafplio. Looming over the town is a fortress built under the Venetians’ rule and reached via 857 steps. Overlooking Nafplio from atop the Palamidi Fortress. 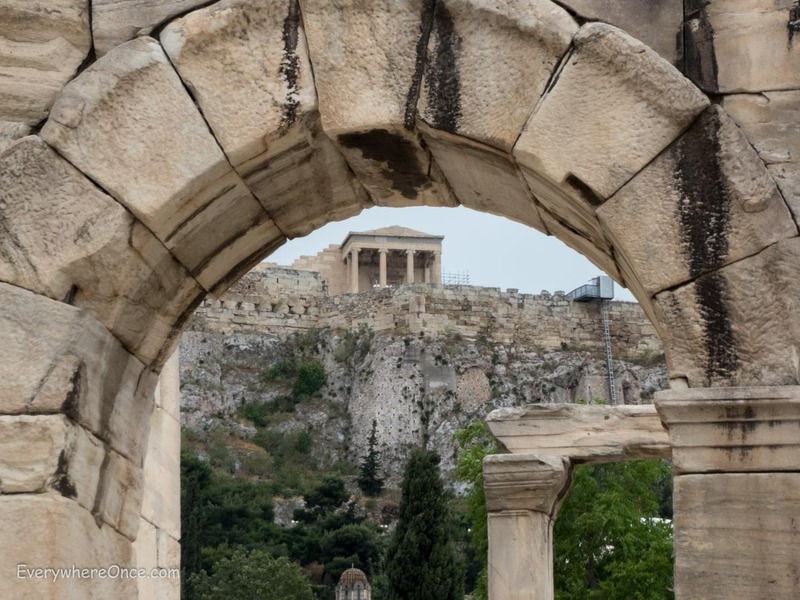 Christie and Mallowan explored a few other places before ending their honeymoon in Athens, where they parted ways—she back to London via the Orient Express and he to an archaeological site. If you’d like to know more about Agatha Christie’s love life, check out Writers Between the Covers. I had no idea Christie wrote an autobiography! It must be really interesting. I would love to follow her tracks to Greece! I’ve been told though that the Parthenon will have scaffolding up for the next 60 years or so… I wonder how Christie would have seen it. I was wondering, too, as I wrote this post how different the places looked when Christie visited. 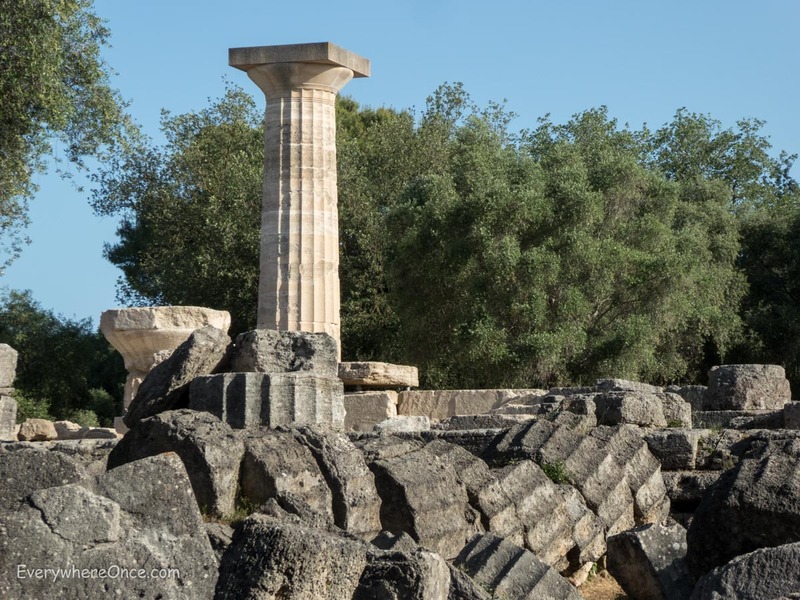 She does mention that Delphi, which she visited again a couple of years before she wrote An Autobiography, had tour buses coming through. Even still, it’s stunningly beautiful and was my favorite place in mainland Greece. When I visited Croatia, Greece, and Italy two years ago, I didn’t know that I was covering some of the same territory that Christie did. 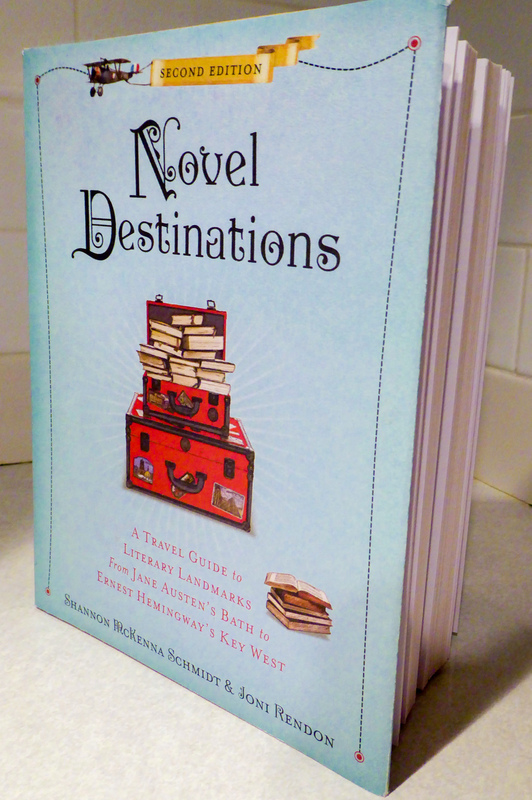 She wrote a memoir as well, Come, Tell Me How You Live, about living and working on an archaeological dig. Sounds fascinating, and I’m going to read that next. I’m going to have to add both to my reading list! From your photos all the places look amazing! I definitely want to go right now! And I would love to be able to take the train like Christie did back when it had all the charm trains used to have!